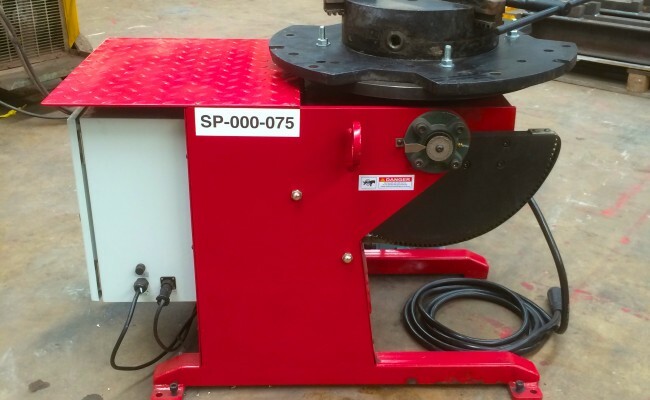 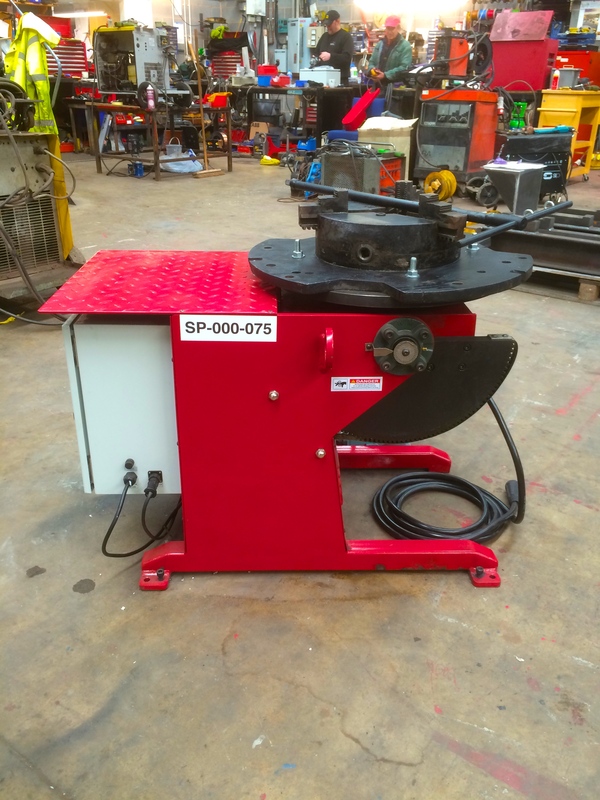 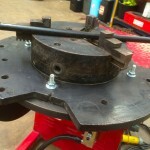 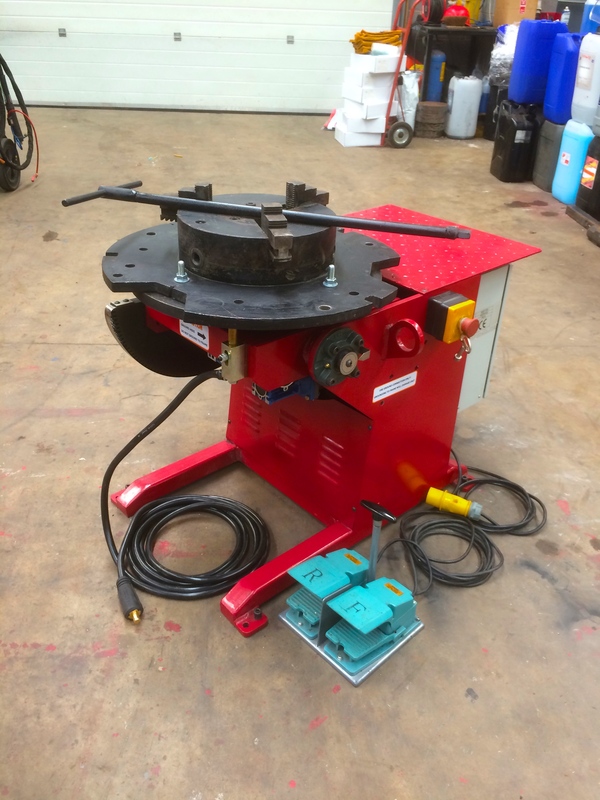 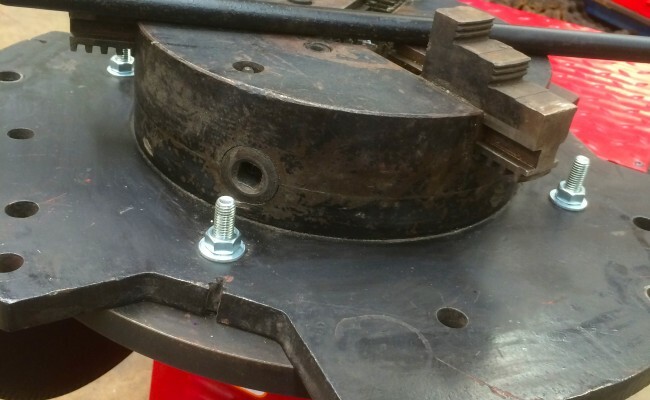 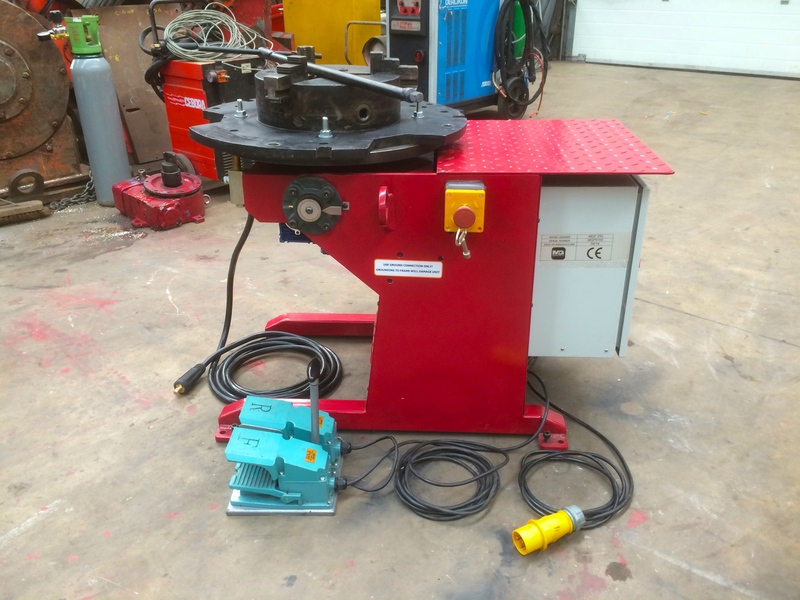 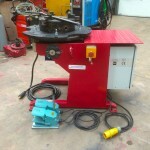 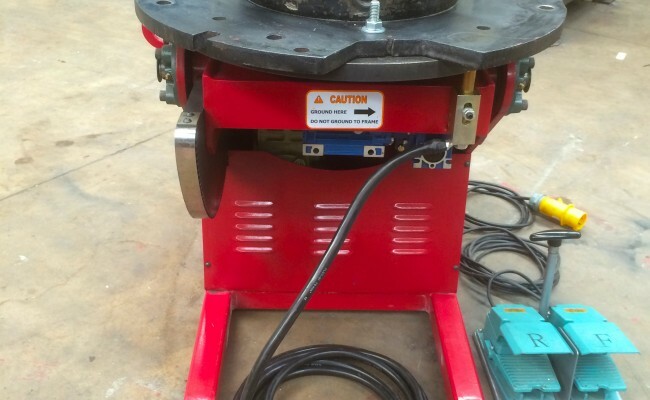 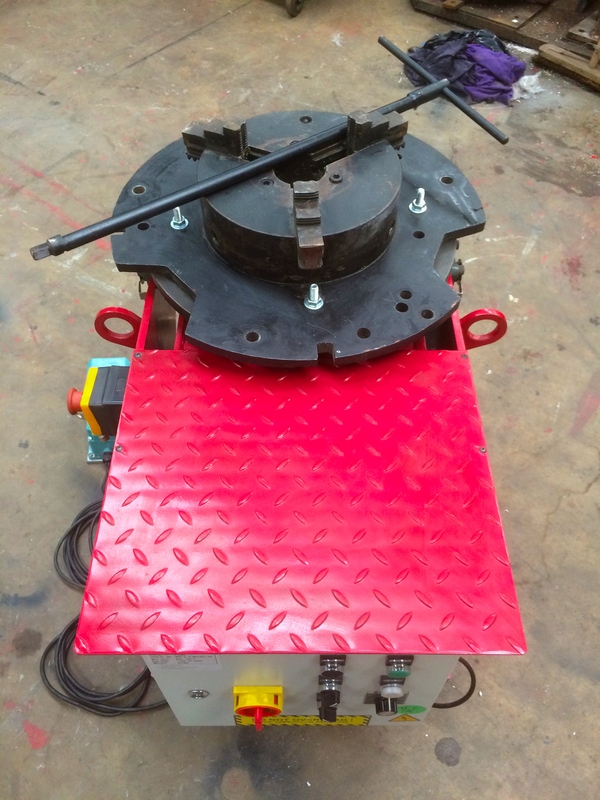 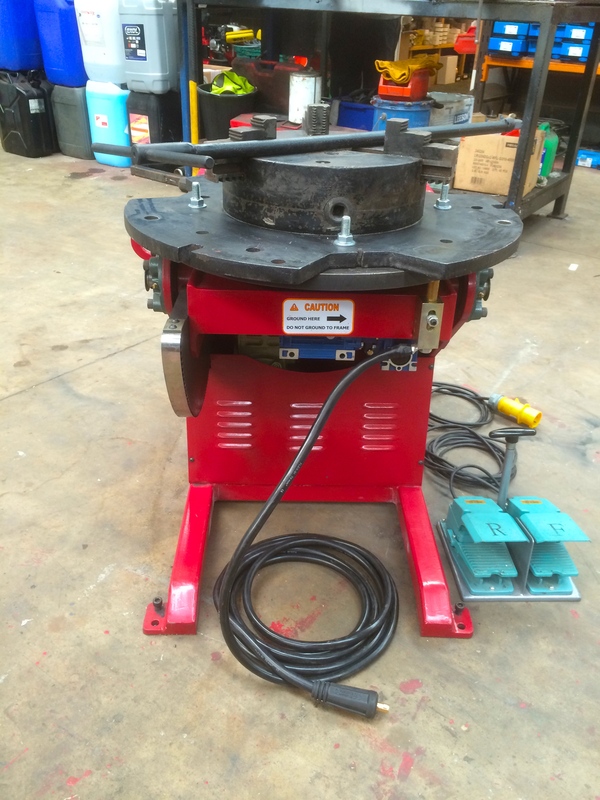 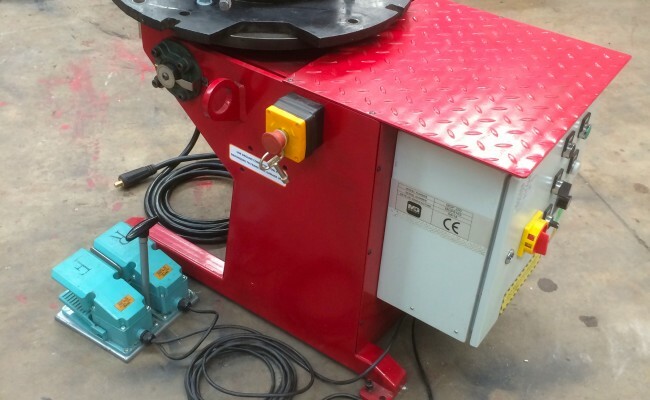 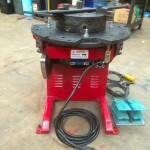 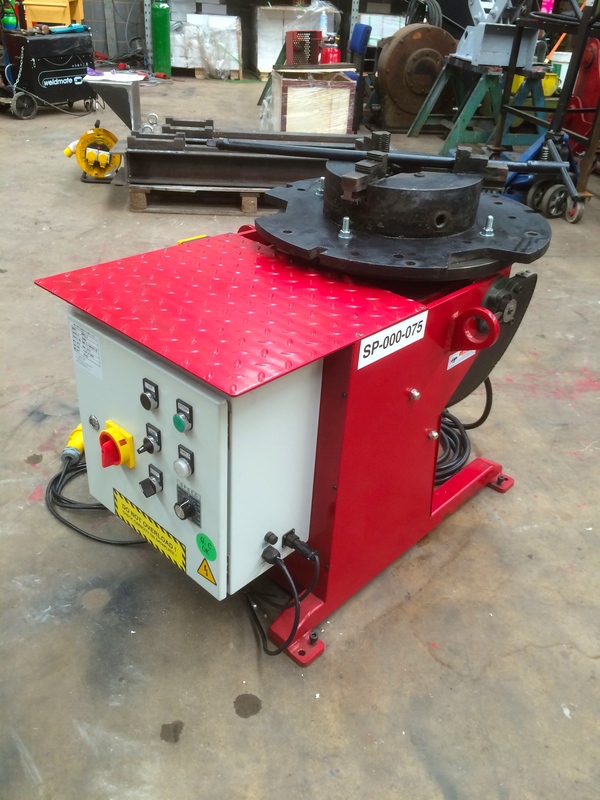 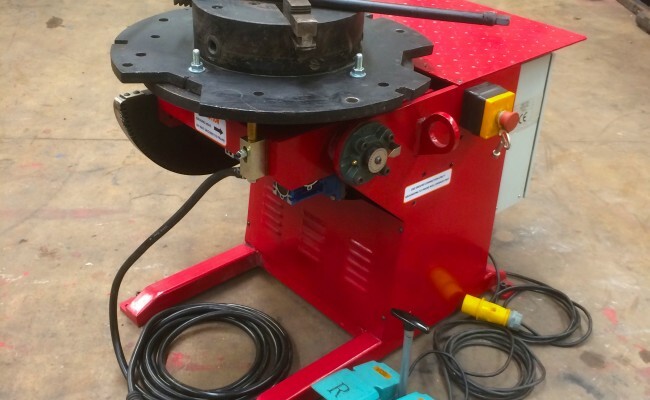 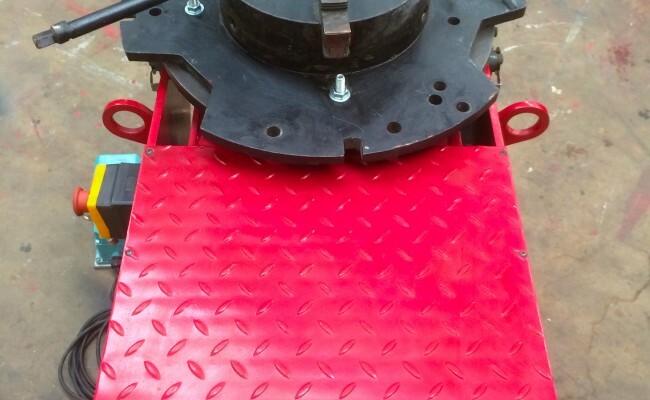 This machine seen here in the photos is one of our many 250kg welding positioners. 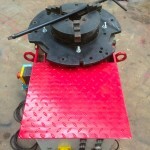 This model is particularly popular with it being fully motorised on the up/down tilt and forwards/reverse turn. 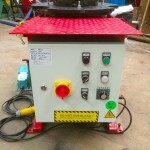 It has a very compact and light weight body, and equipped with a 110V supply voltage. 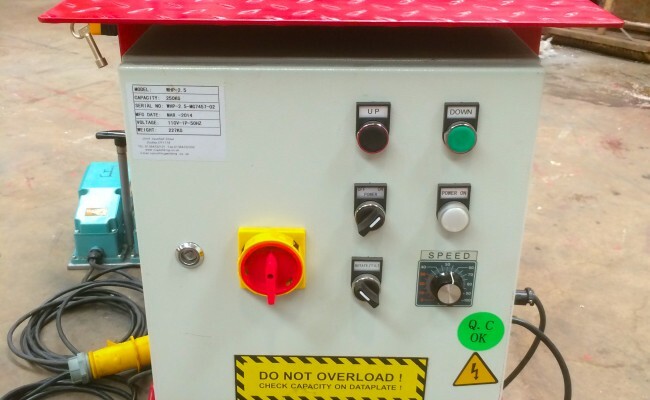 If your shop doesn't have 110V sockets we also hire 240V - 110V 3.3 - 5 KVA transformers. 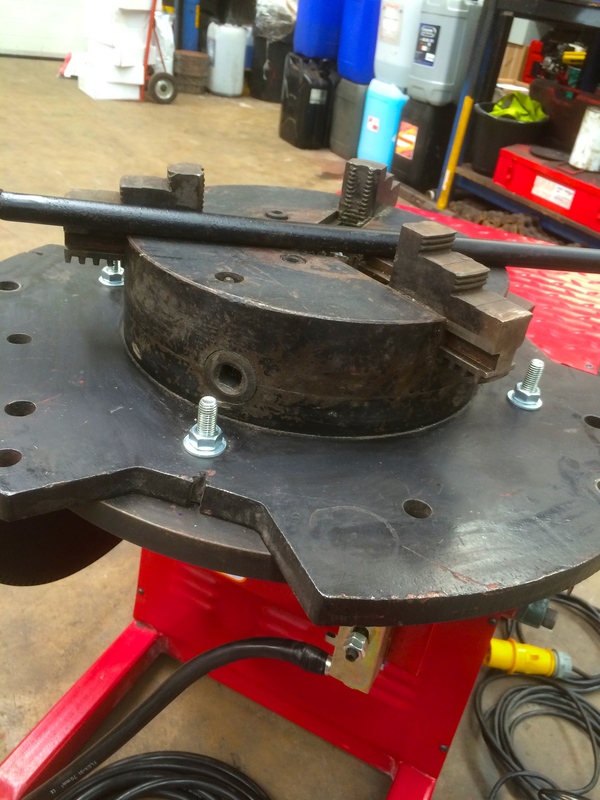 The 250kg model we stock is a heavy duty design and has the load capacity of being able to turn 1000kg @ 500mm away from a titled 90° degree table. 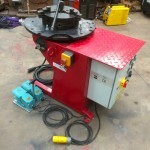 It is also capable of attaching 3 jaw 400mm welding chucks for pipe work, as seen on one of our machines here. 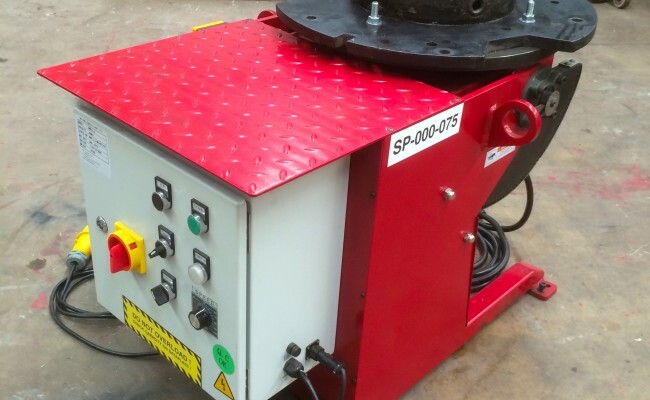 A lot of our customers find it is also the perfect sized positioner, not taking up too much space along with working heights and transport. 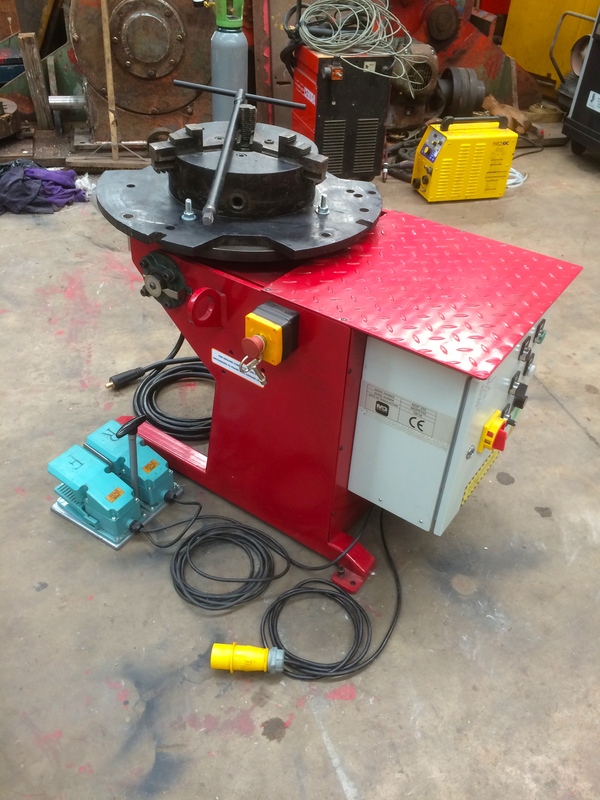 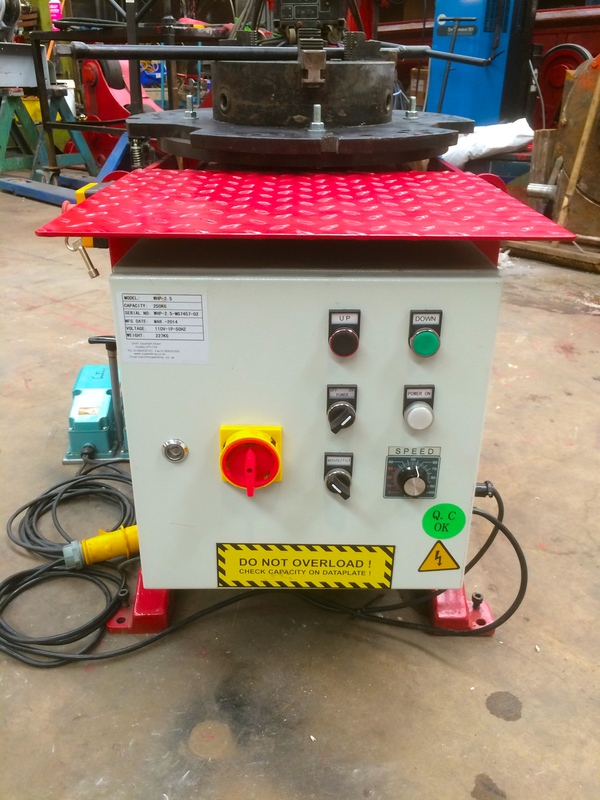 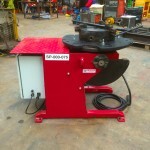 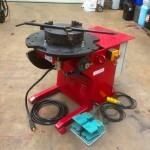 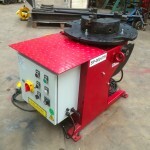 If this welding positioner is a machine that meets your requirements, all of our plant is available for hire and to buy.